Late in November I felt like being sad and doing nothing, so I set down with a random cookbook from my bookshelf and it randomly opened on Christmas chapter. 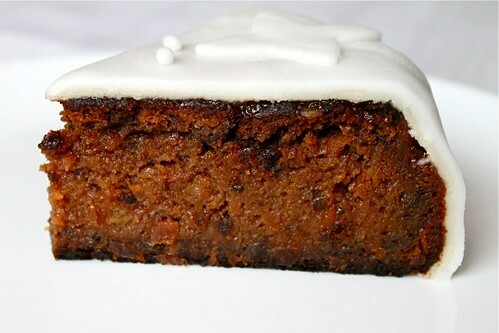 It was saying that late November is exactly when one is supposed to make English Christmas cakes, so that they have time to mature before the big day. That's how I came to making those for the first time. That felt somehow proud to undertake this kind of month long baking venture. It turned out to very enjoyable and rewarding too, so I well might continue with it next year. I remember saying something about baklava just recently. Forget. These sticky cinnamon buns are the most powerful piece of anti stress baking (and eating) I ever tried. They might well be the best piece of pastry I ever produced. 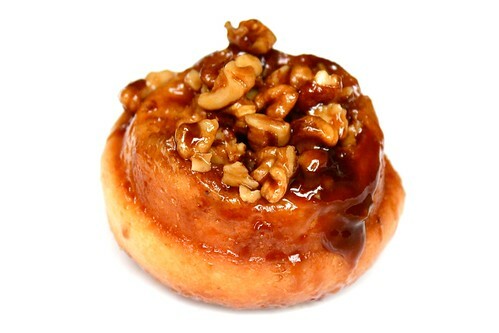 You will smell the nuts bubbling in sticky maple syrup and all the sweet cinnamon richness, while watching how the spiral buns puff out of their cases, catching each others' sides and crisping up on top. Twenty minutes later that one of them looking right at you will be just yours. And so will be the maple nutty goo left over at the bottom of the baking dish (which is, as often happens in life, the best part of the exercise).